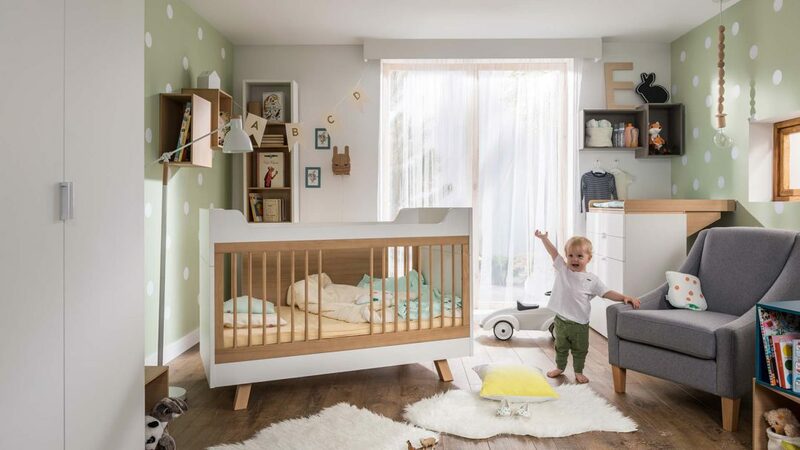 Creating a baby nursery that grows with your little one is not as challenging as you may have thought, thanks to the versatile VOX 4You Baby Collection. Featuring functional baby furniture that adapts to your baby’s growth stages, from newborn all the way to childhood. This collection is not only practical – it is also stylish and durable. 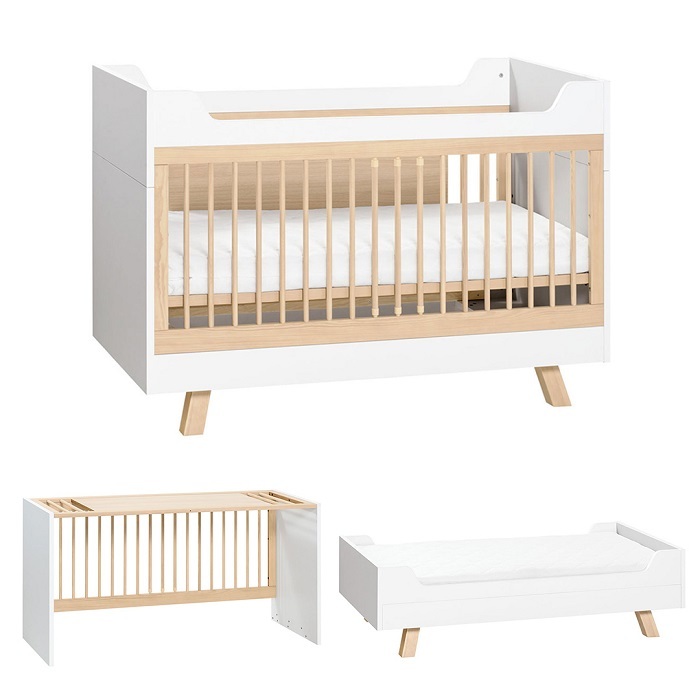 Made from high-quality materials, with soft-touch finishes and clean lines, the neutral white and wood tones of this range also make it easy to change the look of your baby nursery as your baby enters each unique stage. Keep reading to find out more about how the 4You Baby Collection helps you navigate the early years with long-lasting furniture that changes to suit your baby’s and child’s needs. The 4You Dresser Compactum is modern, minimal and simple. 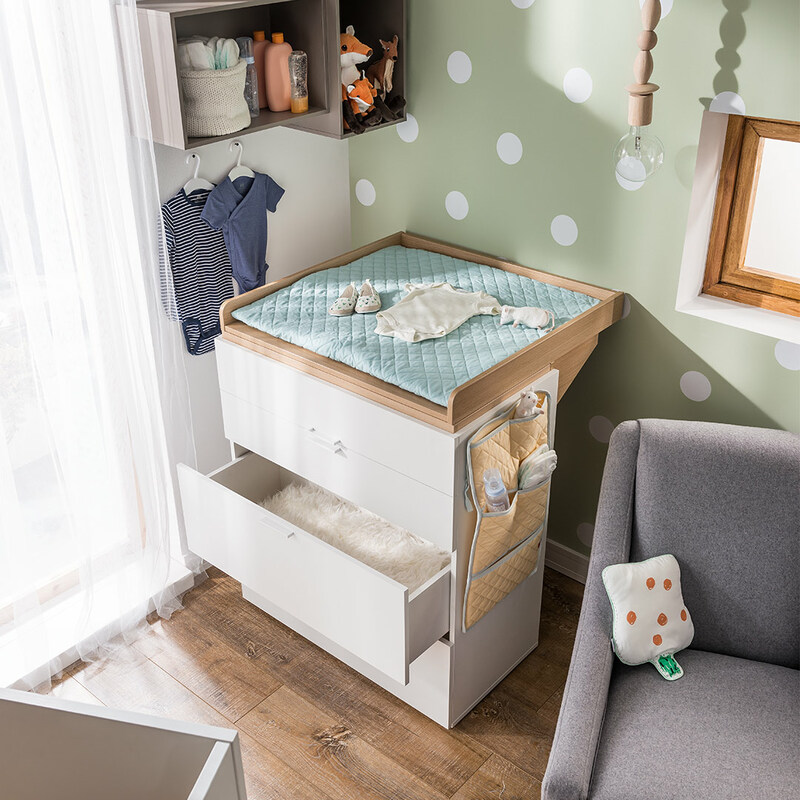 Designed to be purchased along with the Oak 4You Changer (available separately), the dresser begins as a handy nappy changing table, evolving into a dresser that has ample storage and surface space. Its modern laminated board surface is easy to clean and smooth to the touch. The lower drawers are deep, providing optimal storage for clothing or toys, while the upper drawers are ideal for smaller items such as socks, underway and keepsakes. This unit is the ideal height for nappy changes, with the Oak Changer offering additional safety through its raised edges. Pairing perfectly with the dresser compactum, the 4You Convertable Cot Bed will see your child through each stage, from the moment you welcome your bundle of joy into the world. For newborns and babies, the bed acts as a traditional cot, with a secure frame and sturdy bars. 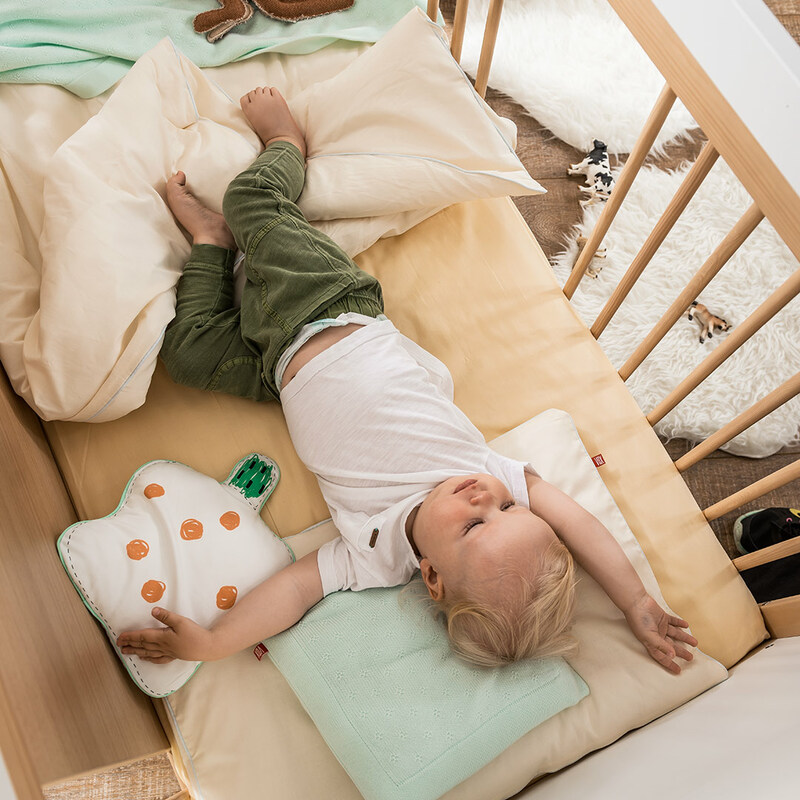 With three adjustable heights, the cot adapts as your baby begins to grow, allowing your little one to begin exploring with a bit more freedom. Once your child is ready for a big kid bed, the bed can be adapted yet again to become a simple single bed that will last your child all the way to their teens. The cot frame, meanwhile, adapts into a desk. At just the right height for kids, this desk is stable and secure, with a simple design that can easily be adapted to suit your child’s preferred style. Thanks to the 4You Baby Collection by VOX, planning your nursery does not have to be a challenge. Head down to our online store or get in touch to find out more about this must-have collection for your baby nursery.